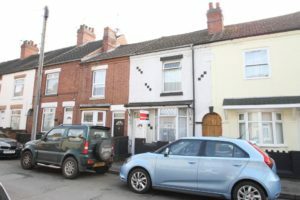 I have a 3 bed terraced house near Nuneaton town centre and I am advertising it privately but I keep getting a lot of people in receipt of Housing Benefit showing interest. What are the risks when renting to people on benefits? Are there any positives? What information could you offer that might help me decide? If the tenant receives their housing benefit, they are responsible to pay you that money each month. This means they will need to be organised with money because they get paid every 4 weeks but, normally, their rent will fall on the same day each month so, they need to be able to budget / save their money for when the rent is due. If you receive the Housing Benefit (HB) direct from the Council, this is better for your cash flow but can carry more risks e.g. if HB discover that your tenant has misrepresented a claim, they can stop the housing benefit and even ask you, as the landlord to pay back what you have received in rent because of the tenants’ deceit. However, if you find out that the tenant has misrepresented a claim and report them to HB then you are not liable to re-pay the rent but you are likely to stop receiving the HB for some time while the situation is resolved. So, you’d better hope there is no misrepresentations because you could be stung either way. We’ve recently had a landlord ask us to manage his Nuneaton property after he had a bad experience with a tenant receiving HB. He had served her notice because she was not paying the full amount of rent each month (she was supposed to pay money as well as the HB to cover the rent) and, a few days later she informed the council that she had moved out of the property so, all payments to the landlord stopped. The tenant was in fact still living in the property and had no intention of moving out “until the bailiffs kick [her] out”. The landlord rang the council and informed them that the tenant was still living in the property but he was advised that, unless the tenant rings the council to tell them otherwise, there wasn’t anything they could do. The landlord eventually managed to get the tenant to admit (via text) that she was still living in the property, as well as getting written confirmation from the neighbours and the council said that they would carry out a visit to the property to establish who lived there. It’s a long story but, you get the jist of it! Does the HB cover the rent? If the housing benefit does not cover the full amount of rent, the tenant is liable to pay the rest. Can the tenant afford to do this? How can you be sure that they will top the rent up each month? Are they paying a cash bond? If you do decide to let your Nuneaton property to someone in receipt of HB, I would strongly recommend ensuring that they have a guarantor in place. It’s important to ensure the guarantor can afford the rent as well as getting all the relevant ID and proof of income from them. Are you doing reference and credit checks? Again, something I would strongly recommend. If credit checks reveal several debts (paid or unpaid), it gives some idea of how the applicant manages their money. On the other hand, credit checks could reveal good money management and be a re-assurance to you. It’s recommended that you get proof of current address as well as people often say that they live [d] with parents to avoid having a bad reference from a previous or existing landlord. Will it affect your insurance? It’s a good idea to check your Insurance Policy still covers you if your tenant is in receipt of benefits as some do not. Similarly, you should also check that you are not in breach of your buy-to-let mortgage. The green deals that come and go with funding are often available for free or at a substantially reduced rate if you have tenants in receipt of benefits (but this can also apply to people who receive tax credits who work full or part time too). If the HB covers the rent in full, and the tenant pays you on the same rent day each month, and the benefits don’t change, and they look after the property, and they have a cash bond, and a guarantor and it won’t affect your insurance or mortgage policy then, renting to people in receipt of benefits would be a positive (although very rare). As a private landlord, I have had both good and bad experiences with tenants in receipt of benefits so I am very much in the middle. I do believe that more should be done to encourage landlords to rent to people in receipt of HB and support landlords in the event of rent arrears, misrepresented claims etc because, at the moment, regardless of the problem, the landlord usually bears the brunt and it’s usually very costly! As you can see, the risks outweigh the positives quite heavily. However, if you’re organised, committed to ensuring you have back up in place and you have an applicant that is willing to tick all the relevant boxes (as listed above) then, there is no reason why you shouldn’t rent your property to a person/people in receipt of benefits. If after reading this you’ve decided that having a tenant in receipt of HB isn’t the route you want to take, or you would like more advice, please feel free to drop me an email m.maycock@qthomes.co.uk or give me a call on 02477 674 545. I’m happy to offer some more advice and can even help find the right tenant for you. Where will Nuneaton house prices be in the not so distant future? I was having lunch the other day with a solicitor friend of mine who’s properties I manage, when the subject of property came up. She asked me my thoughts on the Nuneaton property market for the next five years. Property prices are both a British national obsession and a key driver of the British consumer economy. So what will happen next in the property market? So here is what I told her, and now wish, my blog reading friends, to share with you. Before I can predict what will happen over the next five years to Nuneaton house prices, firstly I need to look at what has happen over the last five years. 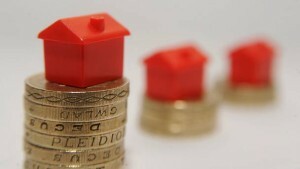 One of the key drivers of the housing market and property values is unemployment (or lack of it), as that drives confidence and wage growth – key factors to whether people buy their first house, existing homeowners move up the property ladder and even buy to let landlords have an appetite to continue purchasing buy to let property. Nuneaton’s MP, Marcus Jones, has welcomed new figures showing that unemployment in Nuneaton has fallen by 54% over the last five years and wage growth continuing to out-pace inflation. There are now nearly 1,600 fewer people in Nuneaton claiming out of work benefits compared to 2010. The figures also showed that average pay growth is at 2.9 per cent – the fastest rise since 2002 – while inflation was only 0.1 per cent, meaning hardworking people in Nuneaton have more money in their pockets. Many home occupiers have held back moving house over the past seven to eight years following the Credit Crunch but with the outlook more optimistic, I expect at least some to seize the opportunity to move home, releasing pent up demand as well as putting more stock onto the market. With a more stable economy in the Town, this will, I believe, drive a slow but clearly defined five year wave of activity in home sales and continued house price growth in Nuneaton. The price of the average UK home will rise by 50% in the next 10 years, say the National Association of Estate Agents and the Association of Residential Letting Agents. The average cost of renting a home in the UK is forecast to rise too, though by only 27%, taking the average rent from £134 a week to £171. 50% might sound optimistic to some, but according to zoopla, values have risen by 13.5% over the past 5 years. However, it wouldn’t be correct not to mention those potential negative issues as I do have some slight concerns about the future of Nuneaton housing market. The number of properties for sale in Nuneaton is lower than it was five years ago, restricting choice for buyers (yet the other side of the coin is that that keeps prices higher). Interest rates were being predicted to rise around Easter 2016, but now I think it will be nearer Christmas 2016 and finally the new buy to let taxation rules which are being introduced between 2017 and 2021 (although choosing the right sort of property / portfolio mix in Nuneaton will, I believe, lessen those issues with the next taxation rules). Fancy this Nuneaton BTL with a 6.6% yield? Wow, I have come across a property this morning that in my opinion is too good not to share with all you lovely property investors. 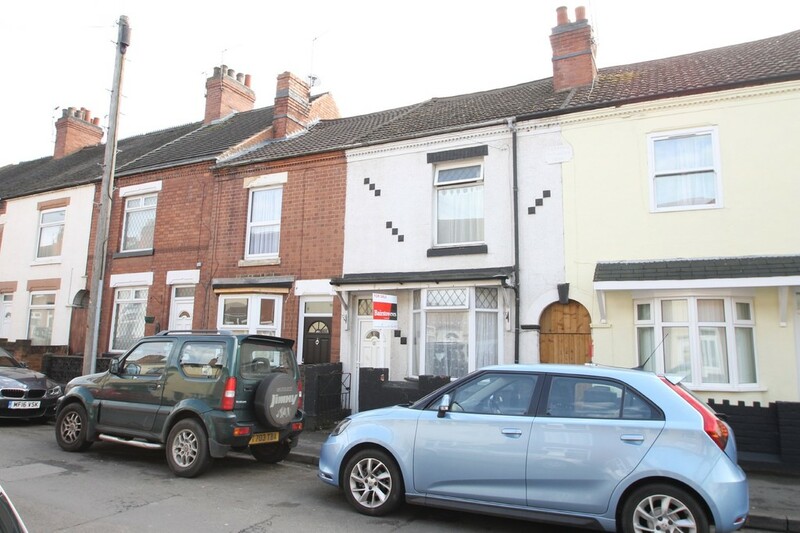 A 2 bedroom Terraced house on Lister Street, Nuneaton. On the market with Mark Webster at £104,950! 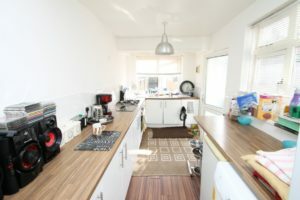 I have been to this property myself about 6 months ago and was quite excited to see that it had been put on the market as I do think location combined with price and general condition that it would in fact have potential to be a good investment. It has to reception rooms, a modern fitted kitchen, 2 good sized bedrooms and a modern family bathroom upstairs. The garden is a decent size albeit needing a little tlc, and with a fresh lick of paint throughout it would be good to go! If you were to offer around the £100k mark and it was accepted, you could ask for rents of at least £550PCM with potential of slightly more depending on the work you put into it initially, but these figures would give you an annual yield of 6.6%. The property is a 5 minute walk from Nuneaton town centre, and is located close to an industrial estate where we know of several companies looking for rental properties in the area for their employees (often they are willing to pay slightly higher rents also). 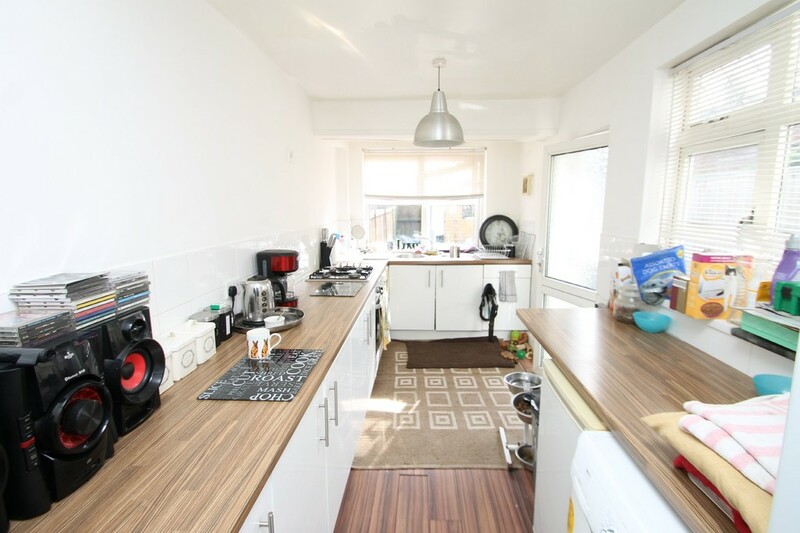 The house is also in the catchment area for the desired primary and secondary schools which are close by which would be appealing to families as well as a professional working couple. 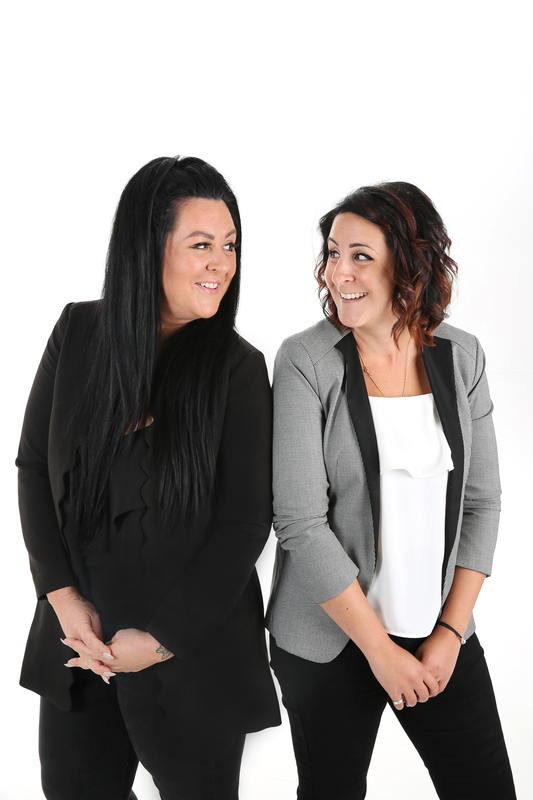 I would strongly suggest a viewing of the property before it gets snapped up, and if you would be interested in using either our tenant find or fully managed service please do get in touch, we’d be more than happy to help you out. Feel free to call us on 02477 674545. Honestly I could write a book about this. Time and time again through my agency career I would have landlords calling me, desperate for advice after they’ve placed a “lovely” tenant in their property using a free (or low costs) DIY advertising website. The tenant presented themselves as honest, open, and above all very capable of paying the rent. It has been said that some 30% of the PRS is made up of accidental landlords (Source: Landlordnews.co.uk). Here lies the problem. As an accidental, or amateur (not a bad thing!) landlord, it is unlikely that they invest the time to make themselves aware of all the legislation surrounding lettings. There is a lot, but as the saying goes “you don’t know what you don’t know,” so most are blissfully unaware – until it goes wrong, and they can do with disastrous consequences! If you saw the other weeks episode of “Nightmare Tenants, Slum Landlords” on Channel 5 then you will know more. Paul Shamplina, Director of Landlord Action advocates against using such sites. I say there is a time and a place for DIY platforms. After all, there are certainly elements of the process you can do yourself – IF you are able to dedicate the time to it. After all, opening a door and doing a viewing can cost very little time and effort if you are local. If you need to travel from work to the property in Nuneaton and then back to your home in Coventry after work it could become a very tiring process, especially factoring in the inevitable no-shows. This is the first hurdle where most people fail. Miserably. The average rent in Nuneaton is £650pcm, or £7,800 per annum. I would suspect that if you are looking to part with just under £8,000 then you would expect to see something immaculately presented and shiny. Like a car. Ever seen a dirty car in a showroom? No? I wonder why. Let’s compare and contrast with letting your property. iPhone photos will not always cut it. Unmade beds? No. In order to achieve the best result (best price in the shortest space of time with the most enquiries, viewings and offers to choose from) you want to present the property to the best of your ability. Present well, clean, and use a professional photographer. I can highly recommend a few that are reasonable and will do all the digital editing required. An investment of £100 goes a long way, if you achieve £2 per week more rent then it’s paid for itself. And remember the photos last for a good number of years, you don’t need to redo them. Where are you likely to attract a professional tenant for your £8,000 a year property? Not in a free advertising site like Gumtree that is impossible to navigate, sort any meaningful way and so forth. You want to get on Rightmove and/or Zoopla. These two portals are where 95% of home movers look. That’s where you want your property. Any good quality agent will advertise your property on one if not both of these. Beware of agents that are NOT on one of these in favour of a third platform called Onthemarket.com. In essence they are trying to compete with Rightmove and Zoopla but failing miserably and they don’t want to admit it. Tenants on the whole don’t look here, so advertise elsewhere. This is key. Whatever you may think, it is unlikely that your property is the best property in Nuneaton. Harsh but true, there will be better properties out there. A good look on Rightmove and Zoopla will give you an idea of prices. Talk to a local agent that you respect – do they have good quality properties? Well-presented? Good photos? They probably know what they are doing, speak to them. And price competitively, you want it to let after all. Time is also key. If you start advertising 60 days in advance and you think “well, I’ll start high because I have time” then you may miss out on those excellent tenants who plan ahead. A lot of landlords I know tend to drop their asking price with 3 weeks left on the tenancy because they know that is roughly when it really comes down to decision time for most. And indeed my experience tells me that tenants tend to make their decision 2-4 weeks in advance. I have, however, let properties long in advance but they tend to be 1bed apartments where the more organised of the couple (tends to be the female) would like to plan ahead. So they price ambitiously for 4 weeks to have satisfied themselves that they have “tried to get a better price.” But what if they’ve missed out on an organised tenant? After all, do you want someone who makes last-minute decisions? I personally would rather have someone that is organised. Do you know about deposit registration? Tenancy agreements? (no, not the ones downloaded for free off the internet) Repairing obligations? Gas Safety Regulations? EPC regulations? Right to Rent checks? These are just some of the things that you need to do when placing a tenant. If you don’t, you could find yourself in a spot of bother. When you serve a Section 21 notice (a notice to end the tenancy) you will find that the notice is INVALID if you haven’t sorted all the aforementioned! Having a professional estate agency take care of this is invaluable. A few % commission takes care of all the viewings, paperwork, legwork and numerous phone calls that comes with letting a property. Linking back to the beginning, time is money. If it takes you 2 hours to carry out a viewing (adding in travel) and you need to do an average of 15 viewings the 30 hours you spent to save some money becomes less valuable. Add in the legal paperwork, referencing, right to rent checks and so forth you are probably talking closer to 50 hours of your work. Say you earn £40,000 per annum. Divide by 52 weeks and 40 hours and you’re earning about £20/hr. 50 hours = £1000ish. I’d argue it’s worth paying a professional agent and to benefit from their time, expertise, knowledge and near guarantee of a better result. 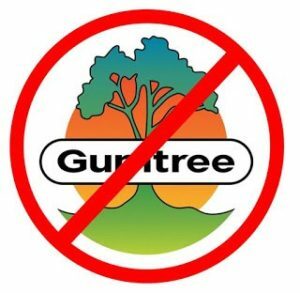 So to summarise – free (or low cost DIY) advertising websites are fantastic for getting rid of an old desk or sofa, probably not the place to advertise for the professional tenant you want for your rental property. They are possibly professional scam artists. And they know who to target. Do you know how to avoid them? Do you have systems for referencing? Can you afford to have them know more than you, and take advantage? I certainly can’t. There are many great resources you can use to educate yourself, such as joining the RLA, and reading blogs and listening to podcasts, but unless you immerse yourself in it fully you are likely to miss things.